24th September 1916. Alfred Benson. F Social, 1880. Major, Royal Army Medical Corps. Died on active service in the bombing of Scarborough. Alfred Benson was a career soldier, serving as a surgeon with the RAMC. He served throughout the South African War. He was wounded at Johannesburg while attached to the Gordon Highlanders. He received the Queen’s medal with five clasps and the King’s medal with two clasps and was mentioned in Lord Kitchener’s dispatches. 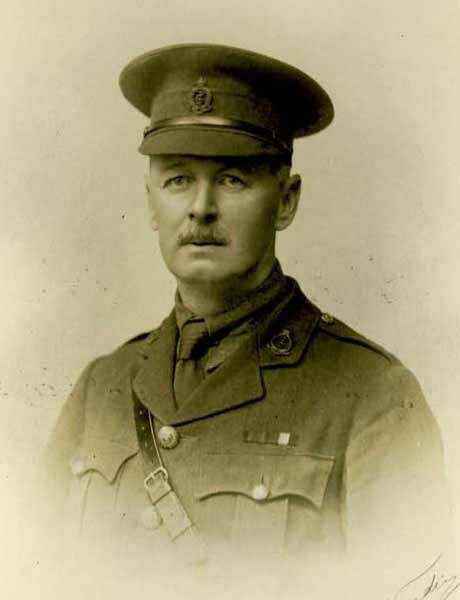 Already retired, at the outbreak of the War Major Benson volunteered for service, and for eight months was in France, and then with the Home Forces. He left a widow, a daughter, and a son who was also serving in France. The bombing of Scarborough was the first attack on a civilian target on mainland Britain. Posted in Commemorating the Fallen of WW1 and tagged 2nd South African War (Boer War), career serviceman, F Social, Major, medic, Royal Army Medical Corps on 24 September, 2016 by archives602.